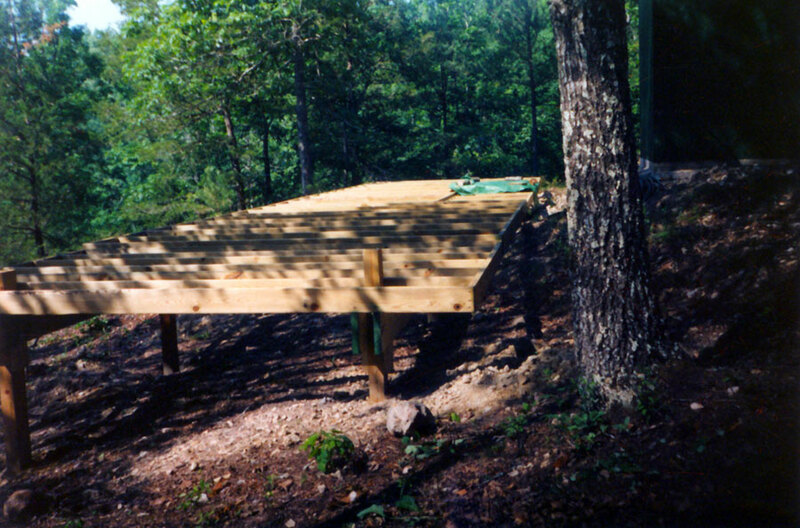 The foundation system used for Cabin No.2 is called post and girder. The floor joists rest on top of two girders running full length of the house. The girders are bolted to posts that are set in concrete. 1990, scanned color print, 3 x 5 in. (7.62 x 12.7 cm). Ozark Series. © 2008 by Allen C. Benson.